At Waterlife Aquarium we stock a HUGE Range of Fish Food. One of the keys to feeding fish is to vary their diet. We recommend in a 7 day feeding regime to alternate Flake Food, Pellet or Crumble Food for 6 out of the 7 days and on the final day give them a treat with the Frozen Aquarium Food. The most popular Frozen Fish Food is Bloodworms which is great as a treat because the fish love it, however just feed it once a week as nutritionally other types of foods are much better. If you wanted to feed frozen Fish Food twice per week we recommend another type depending on the type of fish you keep. The varieties are Beefheart and Prawn, Cichlid, Discus, Community and a few others. Check out the video below of our range of Fish Food in-store. There are so many different brands of fish foods on the market however they are not all the same. 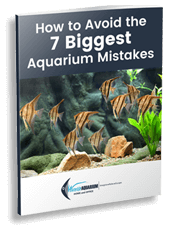 Most of the ‘cheap and nasty’ brands of Fish Food have high levels of Ash and phosphates which are the major causes of algae in your aquarium. These cheap foods are generally sold in supermarkets and not in specialist aquariums and definitely not at Waterlife Aquarium. Some of the brands we stock are Ocean Nutrition, API, Nutrafin, H2O PRO, Aqua One and Aquatopia. Check out the photo of some of our range. Looking for Fish Food in Melbourne?